We go beyond just records retrieval. See our services Like what you see? Register now. When we retrieve a medical record, we review the records and research and notify you if other providers have medical records, bills, EMS reports, lien information or other available records related to the initial request. This allows you to retrieve those related records without spending additional time on duplicate requests or reorders. Based on the information you supply on your online request form, we draft and submit the necessary documents to retrieve your records. We also verify your authorization forms and notify you if you need additional authorizations for specific providers. With your permission, we can also clients, insured, or patient directly, on your behalf, to get additional documents or information as needed. After we file a request on your behalf, we check in with providers to ensure your requests have been received and processed in a timely manner. Our consistent follow-up ensures your requests are not lost or delayed, and your records are on their way to you quickly. As we monitor the progress of your requests with record providers, we pass those updates along to you. Our information management system allows us to update you at every step of the retrieval process, so you always know the status of your request. You can use our secure online portal to correspond with us about your request should you need additional information. We use state-of-the art technology to secure your documents, but we also conduct employee background checks and extensive training to ensure the highest standard of security for your documents. 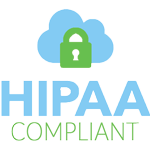 Our client services specialists complete training and certification in HIPAA regulations each year to ensure your privacy. We provide notary services to firms and individuals in the State of Ohio. Our notary services allow us to certify documents and records to be true and correct for use in any legal proceedings. We also offer additional preparations for records after we retrieve them. We can organize and format them electronically with page numbering and searchable text options for added convenience.